The National Science Foundation (NSF)-supported AlloSphere is located at the California NanoSystems Institute (CNSI) building at the University of California, Santa Barbara. The AlloSphere takes scientific data that is too small to see and hear and visually and sonically magnifies it to a human scale so researchers can better analyze the data and find new patterns. Over 20 researchers can stand in the center of the sphere and be collectively immersed in multi-dimensional information. The AlloSphere infrastructure was completed in March 2007 and it is a key part of the Digital Media Center located within the CNSI. Applications for the AlloSphere include audiovisual technologies, abstract arts and art entertainment, "green" technology, computers and networking, education, nanotechnology, physics, materials science, geography and remote sensing, human perception, behavior and cognition, and medicine and telemedicine. 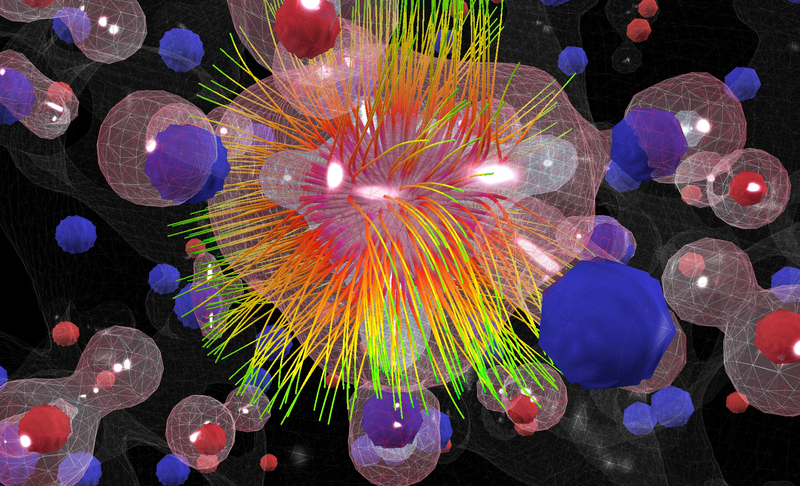 To learn more about the AlloSphere, see the NSF Discovery story The AlloSphere Offers an Interactive Experience of Nano-sized Worlds. Or visit the AlloSphere website Here.